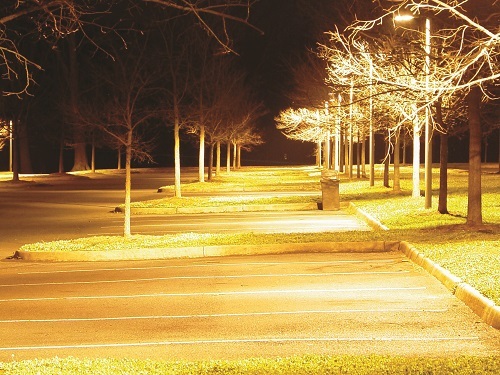 Security lighting is installed in the dark urban areas to help protect people and valuable property from criminal acts. 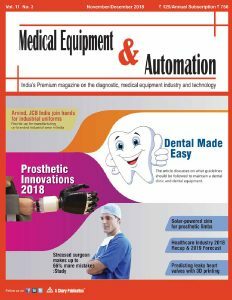 Other forms of lighting, such as decorative floodlighting, shop window lighting, outdoor display lighting and park lighting, can contribute to this goal, but they are designed with additional criteria in designers or Architect mind. Lighting can help to protect people and valuable property from criminal activities because of its effect on clarity and vision. 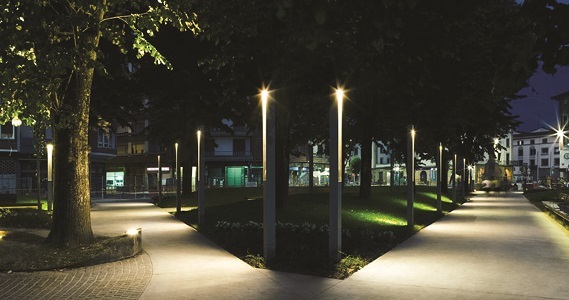 In public realm spaces, generally expert security lighting is designed to help everyone see clearly all around the area. This means that people approaching towards anyone can be easily identified and that other people’s or criminal activities can be seen from a distance (see Figure 1). This has the effect of deviate the odds in favour of the authentic and against the criminal. The law-abiding are unlikely to be taken by astonishment, while criminals are more uncertain about whether their activities have been endorsed or they have been recognised. 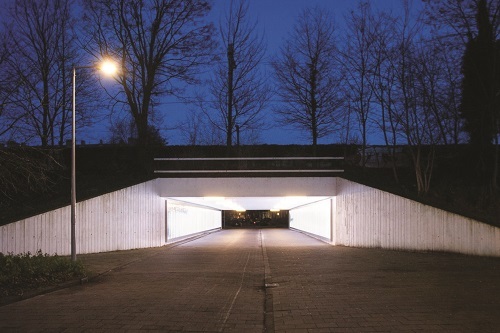 In safe and secure spaces to which the public does not have clear access, it is desirable to use effective lighting to enhance the vision of guards or security while hindering the vision of potential invaders. Lighting is only a part of the security system. The complete system generally include physical elements, such as wired fences, security gates, alarm sensors and locks; a detection element, involving security guards patrolling or remote surveillance by CCTV cameras; and a response element, which determines what is to be done after the detection occurs. 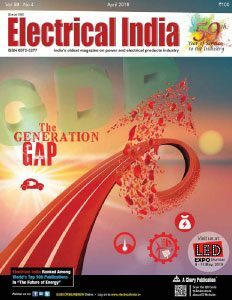 Unless proposed security lighting is integrated into the complete system of security, it is unlikely to be successful. For example, good lighting in a storage area which nobody is watching, and hence in that there is less or no possibility of a response, it will simply help criminals do what they want to do, even more quickly. Various sites can be conveniently segregate by the extent to which people have access to the site and the presence or absence of physical security such as fences. Broadly, there are three types of sites. Secure areas, where there are physical securities and to which access is controlled by gates, such as a public park. • Public areas, where people may be present at any time and which have no physical security, such as a shopping centre car park or open parking areas, open public realm areas and unfenced play grounds. • Private areas, where there are no physical securities but where the general public is not expected to be present during night, such as official buildings within their open landscape and courtyards. One component of a site that can have a maximum influence on the type of security lighting adopted is the amount to which the site is hampered. 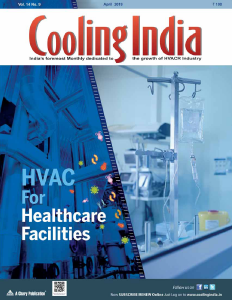 Where a single building occupies an important part of the site and visually consists of the only items of value, it may be more effective to floodlight the building rather than to light the total site area. Where there are multiple obstructions, as in an open public park having small pavilions or buildings, the whole site should be lit in a form that minimises shadows (see Figure 3). Another important character is the moderate reflectance of the surfaces within the site. High reflectance surfaces increase the extent of inter-reflected light and this both shadows and glare. The illuminances formed by the security lighting need to at least match or preferably outpace the illuminances of the surrounding area. Unless, this is done, the area enclosed by the security lighting will look dimly lit. See Figure 4, only a few part of the area is clearly visible, rest is masked by shadows. The frequency and type of crimes occurring in various locations can vary widely. The level of risk will already be built into the level of security used on secure sites but this is not achievable in public areas. In public areas, increasing probability of crime is correlated with increasing illuminances used for security lighting. CCTV cameras are widely used for remote surveillance of big campuses and large areas. The extent of light required for effective operation of CCTV cameras can differ dramatically from starlight to huge level security lighting. Manufacturers indicate a minimum illuminance required for their cameras to capture a clear picture. These values usually assume an incandescent lamp. Higher illuminances may be desired for other light sources with various spectral power distributions. Further, if moving objects/people are to be easily seen, illuminances more than the minimum will be required, whatever the main light source is. The manufacturer of CCTV cameras should be consulted before electing the light source, to be used, if there is any doubt about the sensitivity of the camera. The other aspect of cameras that demand care is their rather limited effective range. A high level of illuminance uniformity is mandatory if dark areas in the CCTV capture are to be avoided (see Figure 5). Further, care should be taken to place CCTV cameras in such positions where they do not capture any light directly from the luminaires as such light will sometimes results a ‘white-out’ of that part of the captured image. 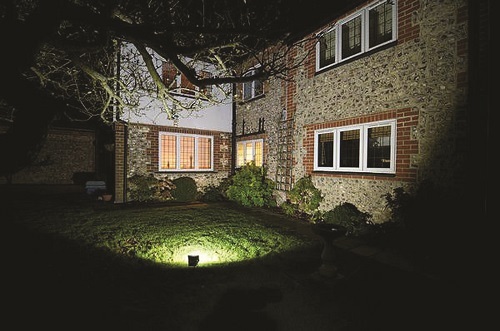 Security lighting should be defined to the covered or protected area. Stray light from a security lighting installation may be considered to be light infraction by neighbours and a source of sky bloom by others. Furthermore, where signal lights are used to control traffic on roads and railways, care should be taken to evade confusion created by either disability glare to the viewer, veiling reflections on the signals, or the recognition of the security lighting itself as a signal. The first question to acknowledge is whether to light the space at all. It can be argued that lighting a protected area advertises the existence of something worth taking and hence attracts criminals, so keeping the area dark is a better approach. However, if the criminal already recognise the area contains valuable materials, then the absence of brightness makes the secure area more difficult to protect. 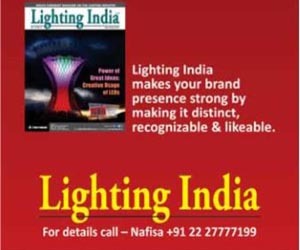 Thus, the choice of whether to provide lighting or not, depend on the owner’s assessment of risk involved. If the risk of criminal action is high, lighting is desirable. If the risk of criminal action is low, then providing unnecessary lighting may be counterproductive. 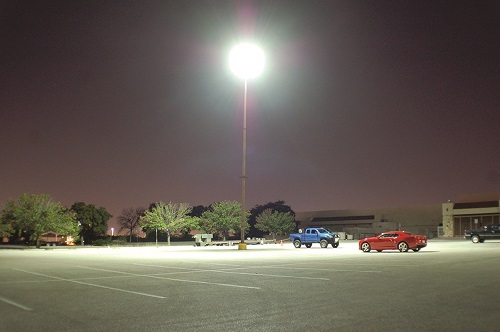 Area lighting is generally used in big open areas such as storage yards and container terminals, parking lots, etc. (see Figure 6). Typically, these sites are lighted equally by floodlighting or roadway lights on poles 10 m (30 feet) or more in height. 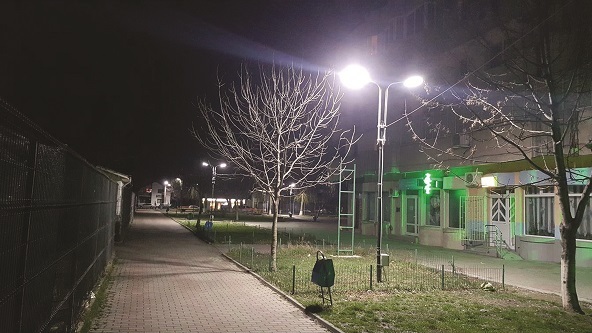 For typical roadway and floodlighting luminaires mounted singly on light poles, the desired illuminance equality can be achieved mostly by balance the luminaires at six times their mounting height. The actual balance will depend on the luminous intensity distribution of the luminaire (for which help of the lighting consultant is required). If the area is unobstructed by trees, shrubs, for structures like car sheds or site topography, the most economic installation will be one very high pole carrying many high-wattage lamps (see Figure 7). However, this result is a false economy as it also produces the poorest illuminance uniformity, the harshest shadows, and the greatest intensity of light trespass. 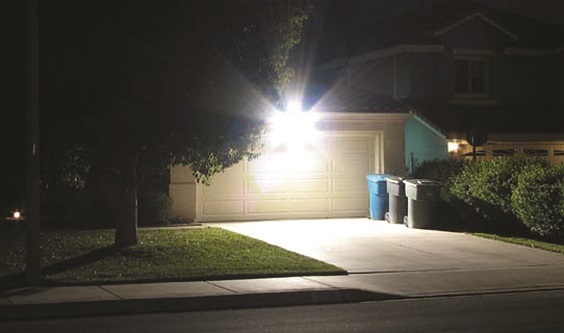 If the area contains obstructions, like small buildings or sheds, a lighting design utilising multiple source locations will cut down shadowing. This is true if the luminaires are placed within the site, between obstructions, and with overlapping light patterns. Reflectance of site materials can also be utilised to advantage. If the owner uses facade materials that are painted a highly reflective colour, or paves the area with concrete rather than asphalt, light diffusely reflected from such surfaces will diminish the depth of shadows.